Every project begins with us getting an understanding of your business, your goals, and the results you are looking to achieve. As the marketing landscape continues to evolve, we stay on top of the current trends and changes in the marketplace. We embrace a learning culture with an innovative team invested in researching new tools, concepts, and thoughts which we apply to your project whether large or small. We brand businesses by attracting their desired audience and positioning them in front of their target market. We strive to learn about a company’s core values, beliefs, and objectives through extensive research, and we use keywords to place companies on the radar of potential customers and keep them steps ahead of the competition. We view online interactions as a conversation between a company and their audience. Through an online presence, we ensure businesses stay connected by listening to customers to ensure this conversation isn’t one sided. Through the promotion of deals, specials, and great content we generate leads directly from websites to in-boxes or mobile phones. Once a company attracts and engages their fans, those fans become repeat clients. We’re dedicated to helping companies achieve results and return on their marketing investment. After the initial design process, we continue to partner with each business enabling them to grow and change their web presence, so they reach their full potential for success. We embrace a learning culture with an innovative team invested in researching new tools, trends, concepts, and thoughts which we apply to your project whether large or small. Like it or not, image is important. A good brand is not just a logo, but it’s a story that makes people want to hear more. Truly defining your business is a critical first step in marketing, and our team can assist in a new brand launch or a refresh. We will collaborate with you to figure out who you are and what you’re about, so we can capture the essence of your business and create a brand you can be proud of, and one that people understand and engage with. Our process allows us to create a powerful, cohesive brand from which your business can rise above the competition. Websites are essential to the modern business and are often the first impression potential customers have of your company. Our approach involves seamlessly integrating your brand standards and personality into an interactive design that puts the user at the center of the web experience. 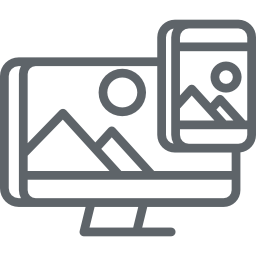 We build websites tailored to your company’s needs through reliable content management, photo galleries, blogs, custom contact tools, and more. Every site we create is fully responsive or mobile friendly. Whether you need something brand new, or just some tweaking for a re-design, our innovation and creativity can bring your message to life. We can take care of all your graphic design needs for digital or print media. We get design. We live it, breathe it, follow its trends, and work in every aspect of it. Anything you can think of to design, we can and have- from business cards and brochures, to album covers, flyers, and posters. Through creative thinking and a focus on your brand messaging, we can develop graphic design that is far more than just aesthetically pleasing. The core of design is to communicate your company or organizations message, and evolve media can visually represent the ideas you want to convey to your audience. In the growing world of e-commerce, evolve media can create and manage your virtual storefront for your company’s products and services. Business is always evolving with more and more of the internet population buying products online, and we have the tools to help your business reach its full sales potential. We have experience working with large and small businesses not only sell their products, but integrate social marketing and secure payment gateways as well. We are able to configure shopping carts to support a multitude of features, and can ensure your marketplace is built to grow right alongside your business. We implement strategies to provide your business or organization with the visibility it needs to succeed on the web and help search engines such as Google, Yahoo, and Bing easily find your website and move it up in the results pages. No matter how well designed your site may be, it’s useless if no one can find it, and you don’t want to get lost in the noise of thousands of other businesses trying to stand out. The closer your company’s page is to the top of the rankings, the more visible you become to potential clients and customers. We can increase traffic to your site and in turn, increase sales and revenue. We don’t just design your site then let you go. We strive to maintain a positive business relationship with your company and continue to help your site grow and change along with your business. We will continue to monitor your site, so it can progress along with the ever changing technological landscape. We understand you don’t always have the time to manage and constantly update information on your own. That’s where evolve media comes in. We offer custom management plans to meet the needs of your company website, so you can focus on your business and leave the rest up to us. Web analytics are a key tool to measure the performance of your company’s web site, marketing, and advertising campaigns. We can measure crucial details and statistics about your website visitors, and then use this information to streamline your site for a better user experience. Our expert insights and analysis can also show you which of your company’s online advertising efforts are successfully sending traffic to your sites and whether these users are then going on to make purchases in the case of e-commerce sites. All this data can shape future online marketing decisions and result in opportunities for an increased ROI. The way businesses and customers interact today has changed drastically over the past decade. Businesses striving to stay ahead of their competition must see social media communications as a vital part of all major business functions. Our team can develop a strategy to ensure maximum engagement to promote your brand and build your online presence. We build momentum focused on your brand by engaging your community with creative campaigns using strategies such as promotions, contests, giveaways, trivia, and other unique tactics to keep your audience engaged while increasing sales. When done right, email marketing can be a powerful and influential direct marketing channel not only to your current customers, but prospective ones as well. You can send relevant and timely messages directly to the consumers who are interested in what you have to share, keeping you in their minds and driving sales. We manage your email marketing campaign from beginning to end; we design, develop, segment, and blast to your clients. 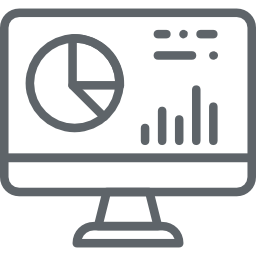 Most importantly, our team can then track the performance of your campaign and subscriber activity to guide future promotions based on what is most effective for your business.